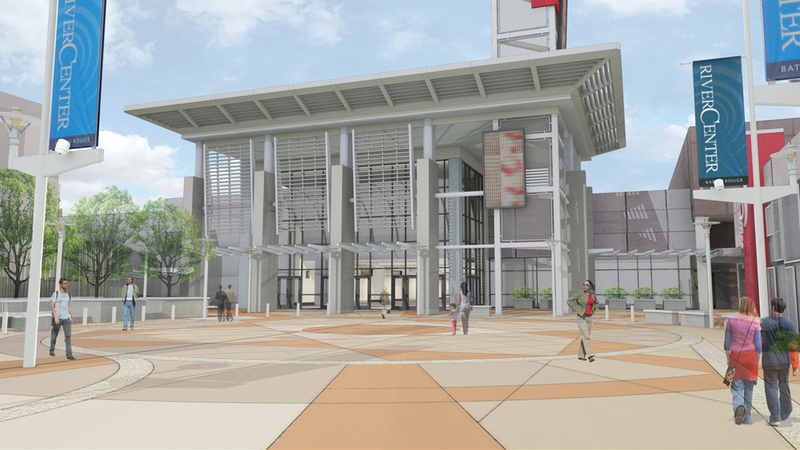 This project addresses some of the major needs at the City's Convention Center (meeting space, circulation and appropriate entry/access to the facility). 35,000sf of new construction and 24,000sf of renovated space including expansion of the plaza level Galleria, 10,000sf of additional meeting/event space on the plaza level and the various support spaces required to run the facility. 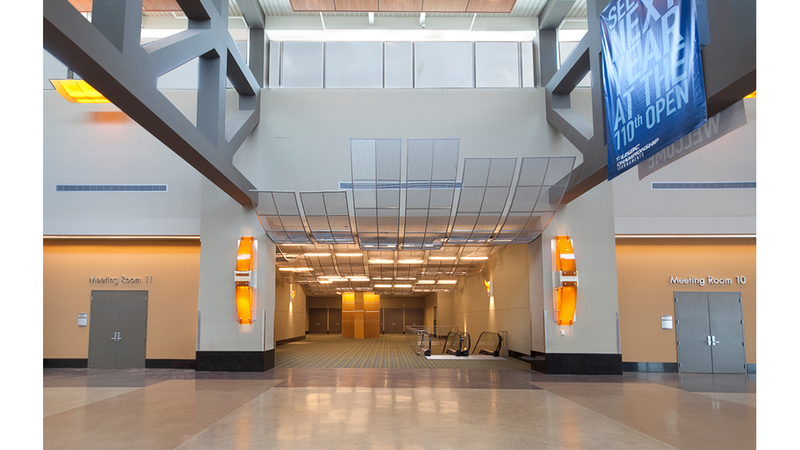 New vertical circulation (elevator and escalator) has been added to provide convenient access to existing meeting spaces currently unused because of their location. These existing meeting spaces will be renovated, netting the facility nine additional breakout rooms. One of the new site features is a large open plaza on the east side of the facility.